“Next to the Word of God, the noble art of music is the greatest treasure in the world.” ~Martin LutherMusic is an important aspect of the way we praise and glorify God. There are many ways for you to be part of the music ministry here at Christ Hamilton. Contact music director Donna Molan or assistant music director Gail Haydt if you are interested in using your gifts to praise God! Senior Choir: The Senior Choir rehearses on Thursday evenings from 7:30-9:00. Please contact Donna Molan at chulcmusicdir@gmail.com if you are interested in joining the choir. If you would like to sing for Holy Week and Easter please contact Donna Molan. Sunday School Choir: Our Sunday school students will sing every 4th Sunday of the month at the 11:00 am service. Students will practice the 3rd & 4th Sundays of the month at 10:10 in the choir room. The fourth grade Sunday school children will have music time at 9:15 this Sunday, March 19th. The rest of Sunday school will have music time at 10:10 this Sunday, March 19th in the music room. 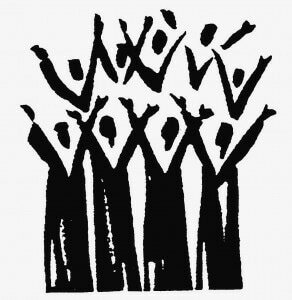 Joyful Noise Ringers (adults & high school students): Anyone who would like to ring can contact Gail Haydt at ghaydt628@gmail.com The Joyful Noise Ringers rehearse Thursday evenings from 6:30-7:15.